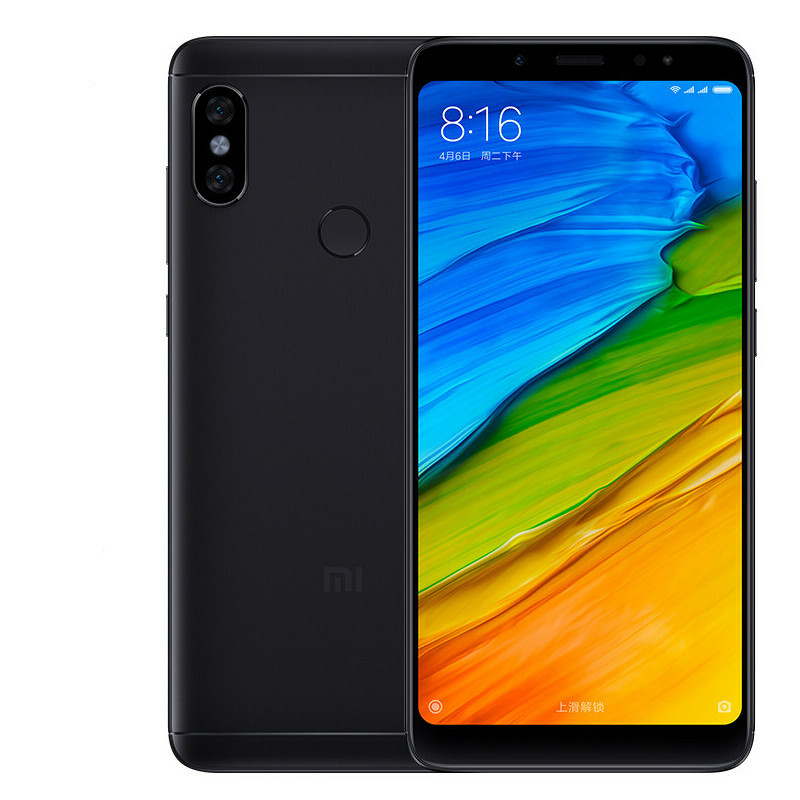 Successfully Added Xiaomi Redmi Note 5 Android Phone - 5.99-Inch 2K Display, Snapdragon Octa-Core CPU, 4GB RAM, 12MP Dual-Cam (Black) to your Shopping Cart. Undergo a breathtaking visual experience on the go on the 2K display of the Xiaomi Redmi Note 5 Android phone. If you’re into mobile entertainment, this latest Android smartphone is perfect for you. On its 5.99-Inch display, it treats you to stunning Full-Display 18:9 visuals in mesmerizing 2K resolution. This makes it the ultimate smartphone for watching movies and playing games on the go. With its powerful hardware that includes a Snapdragon Octa-Core CPU and 4GB RAM, this Android phone is guaranteed to handle anything you throw at it. The phone packs 64GB ROM and supports a 128GB SD card. Therefore, you won’t have to worry any time soon about running out of storage for all your files and media. With its Android 7.0 operating system, this latest Android phone delivers a smooth and lag free user experience. It comes packed with a whopping 4000mAh battery that lets you enjoy all your phone has to offer for up to 12 hours in a row. With its Dual-IMEI numbers and 4G connectivity, this Android phone keeps you connected at all times. You’ll furthermore be treated to Dual-Band WiFi for ultra-fast internet speeds at home or in the office. The next time you’re heading out on a trip, you can be guaranteed that you’ll always stay within reach to friends and family back home. With the phone’s professional-grade 12MP Dual-Rear camera, you can snap stunning pictures and FHD videos of all those upcoming adventures in life. This Android phone comes with a 12 months warranty, brought to you by the leader in electronic devices as well as wholesalesmartphones..